The Teaching with Technology Conference (formally The Teaching Professor Technology Conference) is a high-quality education event specifically designed to provide ideas, information, and inspiration to college faculty in all disciplines who are looking for more effective ways to incorporate technology into their teaching. Whether the courses you teach are face-to-face, online, or both, the Teaching with Technology Conference will help you create a better learning environment. The following statistics were taken from The Teaching Professor Technology Conferencethe predecessor to the Teaching with Technology Conference. Learn about the name change. Hundreds of college educators will be developing new skills and strategies at The Teaching with Technology Conference. 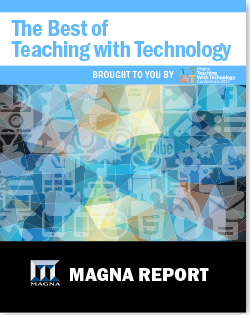 Its the one teaching with technology conference you dont want to miss!